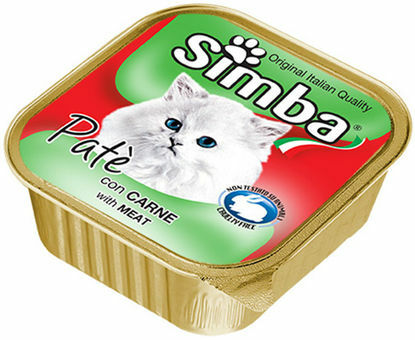 Paté with meat, for cats of all breeds, integrated with minerals and vitamins, flavoured with natural aromas. Nutritive value and digestibility: high content in noble proteins and good vitamins integration, good digestibility. Composition: Meat and meat-by-products (of which beef 6%), minerals, vitamins. Analytical components: Moisture 82%, Raw Proteins 8%, Raw Fats 7,5%, Raw Fibres 0,4%, Raw Ashes 2,1%. Instructions for use: For a medium size cat (3/4Kg): 100 grams of product for every meal, 3/4 times per day. To be served at room temperature, or warmed. Keep in refrigerator after opening. Do not give the product too cold. Always leave fresh and clean water available to the animal.